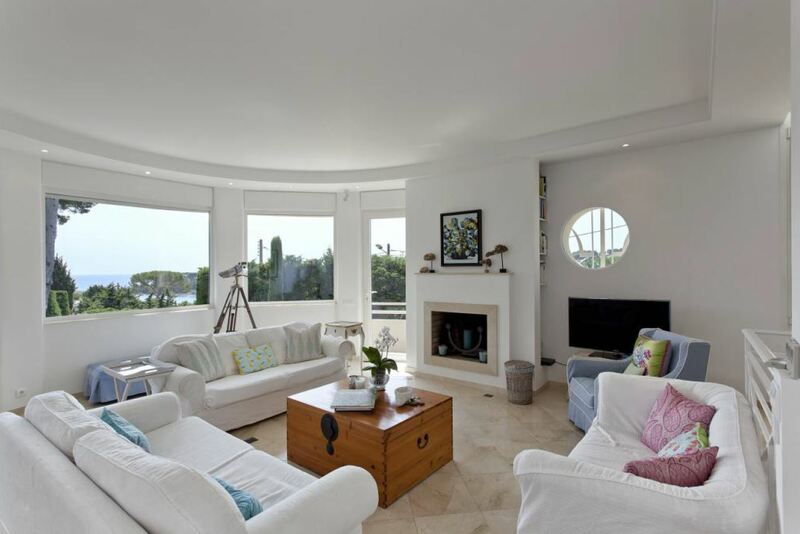 This beautiful recently renovated villa is situated at just 5-minutes walk from the Garoupe beaches of Cap d’Antibes. 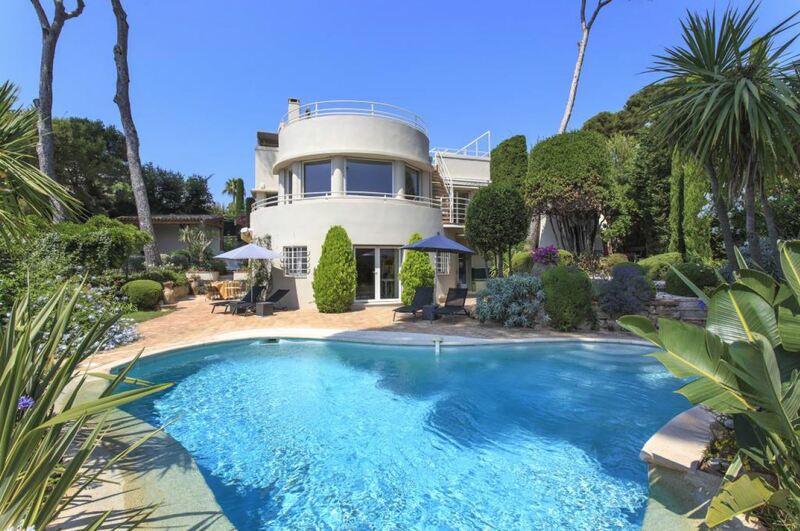 Cannes can be reached by car in 15-minutes with Nice airport only 30 minutes away. 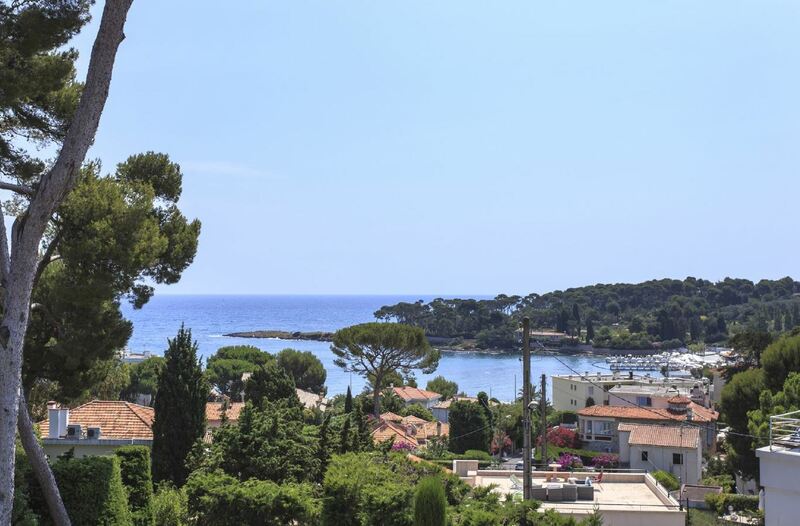 The property benefits from stunning views of the Mediterranean sea as well as a Provencal style garden and lovely swimming pool. A private road is used to access the villa and gives access to the car shelter and the gardens. Guests are welcomed into the property via a large glass entry door into the formal dining room. The grand piano adds extra sophistication and the views of the bay are incredible. The American style kitchen is fully equipped with the latest appliances and lots of worktop space and a dining table for 4 guests. 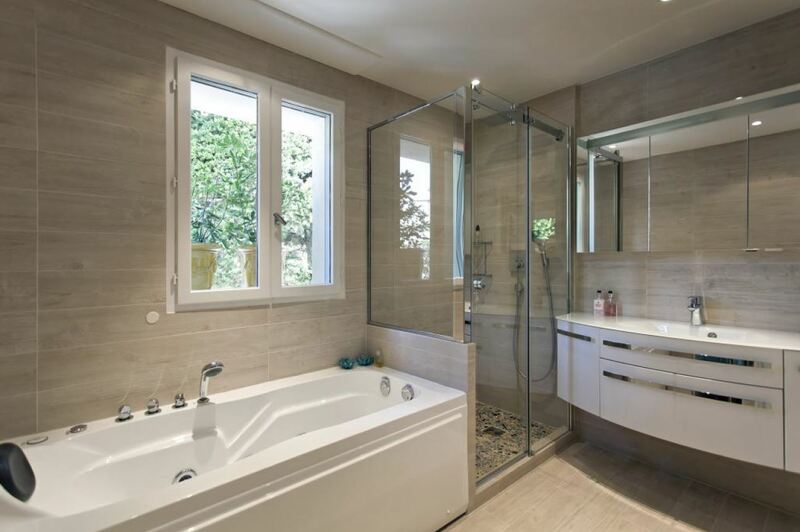 The main villa contains 3 gorgeous bedrooms, each with an en-suite bathroom. 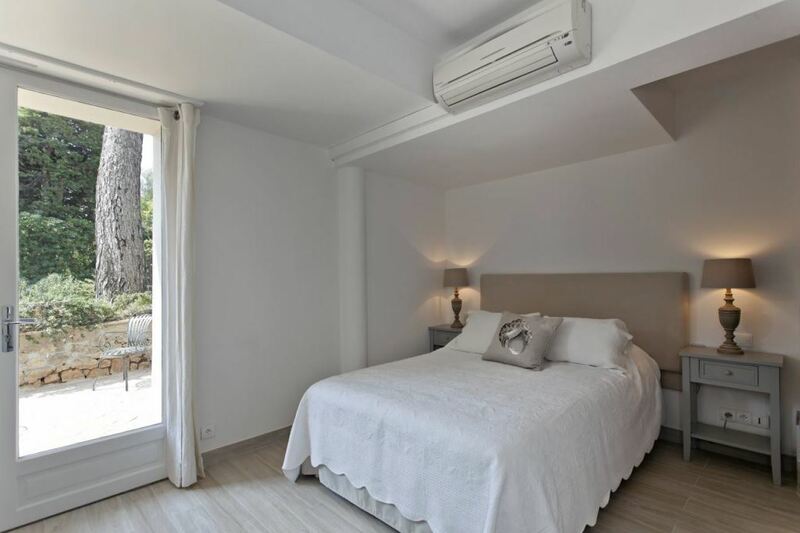 The master bedroom and one of the guest bedrooms have access to the garden and the pool area. 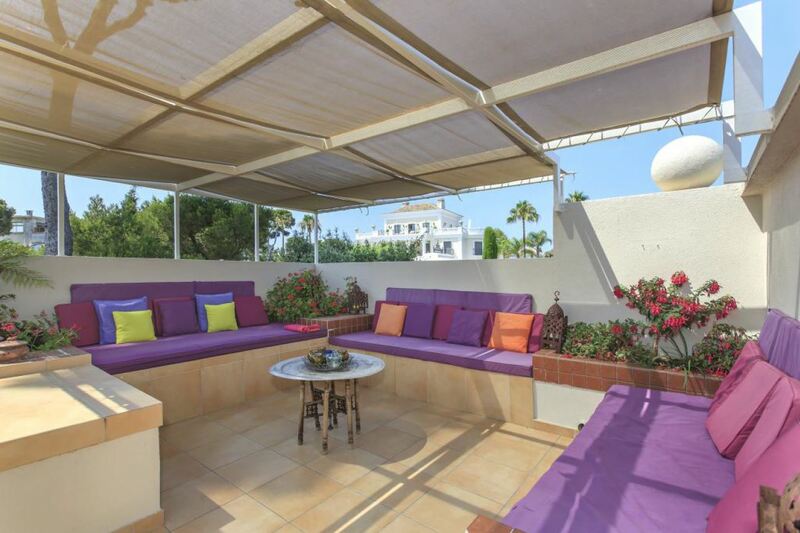 Guests can enjoy a rooftop terrace as well as lower level terraces, all furnished with outdoor seating and a barbecue to fully appreciate the summery days in the sunshine. 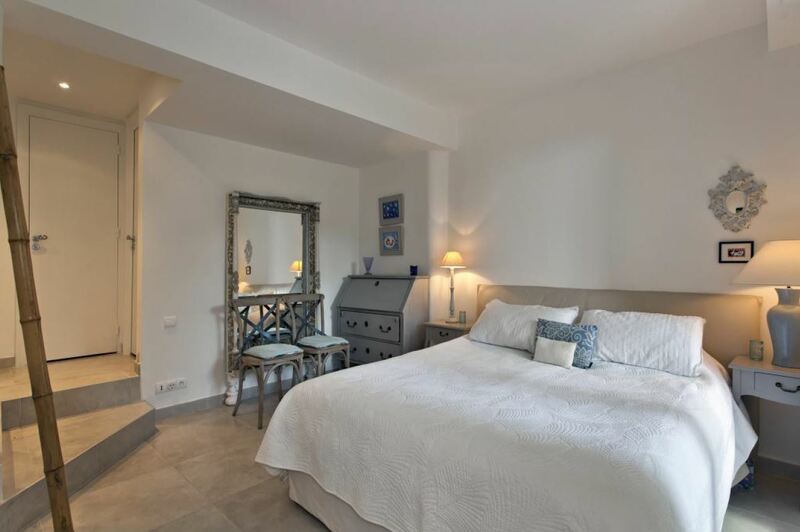 The villa includes a separate guest studio apartment where the 4th bedroom is located. 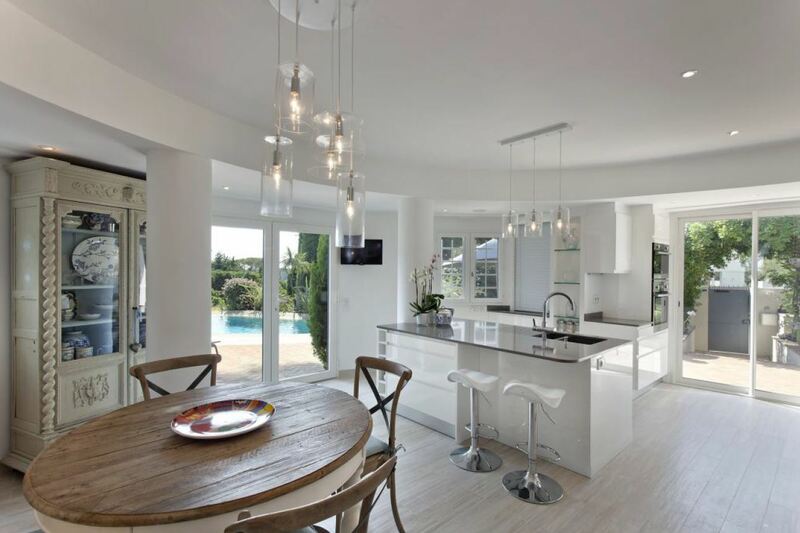 There is also a kitchen and a bathroom to use.